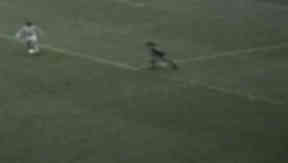 Little is known or recorded of an offside experiment conducted by the Scottish Football Association which could have led to a major change to the laws of the game. Discussion rages eternally over how football could be changed for the better. Should we introduce goal line technology? Should we award a goal when a player has handled on the line? Should we allow a player to celebrate freely without fear of picking up a yellow card? Simplifying the offside rule is another favourite, especially when it comes to inactive players and second phases. Yet little is said or known about the experimental cup final in Scotland which could have led to a revolution in the game through changes to the offside law. The Scottish Football Association were leading the field in trying to completely overhaul how the rule worked. Their first trial saw a league match between Hearts and Kilmarnock go the first 45 minutes with no offside law in effect. The Edinburgh club won 8-2. Another SFA-proposed experiment then followed in the League Cup and Drybrough Cup matches of 1973, which saw the penalty area line extended to join up with the touchlines, creating a solid line across the pitch 18 yards from each goal. The offside law then only applied when a player was beyond the new penalty area line. The League Cup final of that year, between Dundee and Celtic, was the eventual platform for a final decision on whether the idea was viable. The Scottish League Cup final presented the opportunity to show the world the viability of removing offside decisions from the equation in midfield play. And there was certainly interest. A delegation were in Glasgow led by FIFA president Sir Stanley Rous, who “I don’t think saw many Scottish matches,” remarked another journalist, Rodger Baillie. But the game which may have convinced Rous et al to throw their weight behind a change in the rules was played against a chaotic backdrop. Kick-off was brought forward to 1.30pm because of power cuts caused by a fuel crisis, with generators on standby at Hampden. A three day working week was effectively in action, as the nation struggled to meet power demands, with miners and railway workers on strike over an overtime ban. Treacherous conditions caused by snow and rain led to many not making the trip at all from Dundee, in part down to inaccurate reports the game had been cancelled, with only a smattering of travelling fans carrying on regardless. "It wasn't a game,” laments Ally Hunter, who was in goal for Celtic in the final. “The ball was sticking in the water and there was no flow to the game at all. Under normal circumstances, the game wouldn’t have gone ahead." Dundee defeated Celtic 1-0 from a Gordon Wallace goal in extra time, their last success in a major cup competition to date. “I think because there was so many of the important legislators in football, obviously with Rous being the number one at the time, they clearly wanted to try and put it on,” surmised Baillie. Celtic manager Jock Stein was also far from impressed that his team were involved in the experiment. “Stein objected to it bitterly,” continued Baillie. “He claimed it was unfair to expect players to play on a Wednesday in the League Cup, Saturday in the league then maybe the following week in Europe. In any case, the Scottish FA were the ones who would report back to the next meeting of the International Football Association Board, with five representatives travelling to the Hotel Bachmair in Rottach-Egern, West Germany, on July 9, 1974. The IFAB did approve a repeat of the experiment in Scotland for the 1974/75 season, again in the League Cup and Drybrough Cup competitions. The subject returned to the agenda at a summit at the Gleneagles Hotel in 1975. But, after a five-course dinner, wine, liqueurs and cigars, no proposal was submitted by the SFA for the board to vote on. The idea, like the gentlemen’s after-dinner smoke, evaporated into the air for good. For more on the season 1973/74 in Scottish football, tune into STV's The Football Years: The End of an Era at 9pm on Friday, April 1.